Last January I proclaimed in the The Hill’s Congress blog: “Marijuana law reform is no longer a political liability; it’s a political opportunity.” Ten months later it appears that an unprecedented number of state-elected officials are heeding the message. Here’s just a sample. COLORADO: Last week the Commission on Criminal and Juvenile Justice recommended legislators to substantially reduce marijuana penalties so that the possession of up to four ounces of pot would classified as a petty offense. Offenses involving greater amounts of cannabis (up to 16 ounces) would be reduced to a misdemeanor. State Attorney General John Suthers told the Denver Post that he supports the Commission’s recommendations which, if enacted, would make Colorado’s pot possession laws among the most lenient in the nation. RHODE ISLAND: A special nine-member Senate panel met for the first time this week to debate revising the state’s criminal marijuana policies. The panel’s chair, Democrat Sen. Joshua Miller, said that the task-force will primarily focus on the subject of decriminalization, but that members will also likely debate the merits of taxing a regulating the adult use of cannabis. The panel’s recommendations to the legislature are due on January 10, 2010. 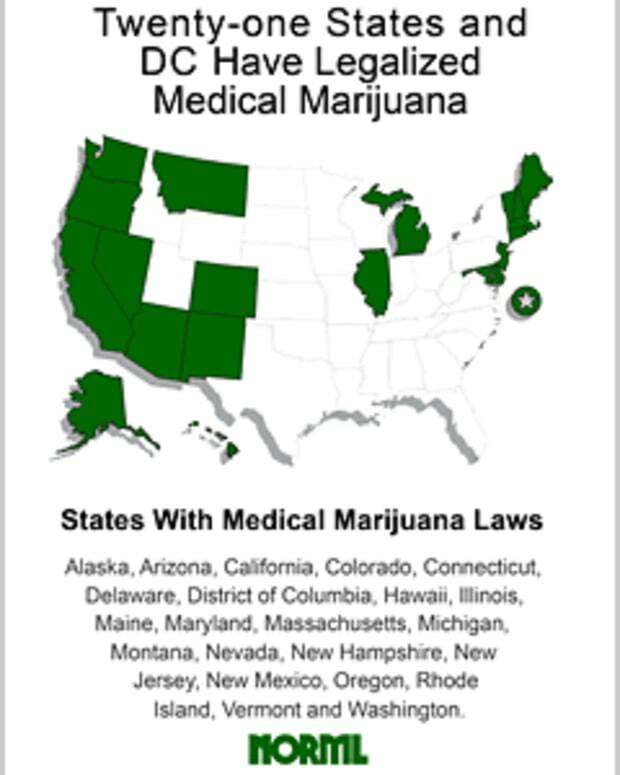 In 2009, Rhode Island’s legislature became only the second to approve legislation licensing the establishment of medical cannabis dispensaries. WISCONSIN: Democrat Gov. Jim Doyle recently announced his support for legislation that seeks to make Wisconsin the fourteenth state to allow for the legal use of medical cannabis. Both the Assembly and the Senate Public Health Committees are scheduled to hear testimony in favor of the legislation, known as the Jacki Rickert Medical Marijuana Act, on Tuesday, December 15, 2009. WASHINGTON: Incoming Seattle city attorney Peter Holmes announced this week that his office will no longer charge anyone with simple marijuana possession offenses. “We’re not going to bring any more (marijuana possession) charges,” he said. There are other more important, more pressing public safety matters in need of attention with the limited resources we have.” Holmes added that he supports legislation that stalled in 2009 that seeks to depenalize marijuana. Those proposals are expected to be heard by the legislature in 2010. PENNSYLVANIA: Next month legislators will hold their first hearing — ever — on legalizing the use of medical cannabis. The House Committee on Health and Human Services will hear testimony on HB 1393, The Barry Busch Compassionate Use Medical Marijuana Act of 2009, on Wednesday, December 2, at 11am in Room 140 of the Main Capitol. Contact Philly NORML for further details. ARKANSAS: Democrat Senator Randy Laverty announced this week that he is considering introducing legislation to lessen or eliminate criminal penalties for marijuana possession offenses. Legislators in several other states, including New Hampshire and Texas, are also expected to debate marijuana legalization proposals in 2010. CALIFORNIA: In the coming months legislators are expected to hold additional hearings on Assembly Bill 390, the Marijuana Control, Regulation, and Education Act, which seeks to tax and regulate the commercial production and retail sale of cannabis to those age 21 or older. The California Assembly Committee on Public Safety is anticipated to vote on the measure by late January. The vote will mark the first time that California, or the legislature of any state, has voted on the issue of cannabis regulation in over three decades. By any standard, 2010 will be a historic year for legislative activity regarding marijuana law reform. Will you play a role in bringing common sense marijuana regulations to your community? Get active, get NORML, and be the change you want to see! So Now Marijuana is a Threat to Marriage?! Big Question: How Do We Legalize Marijuana Now? It's Official: Now 750,000 Medical Marijuana Patients in U.S.